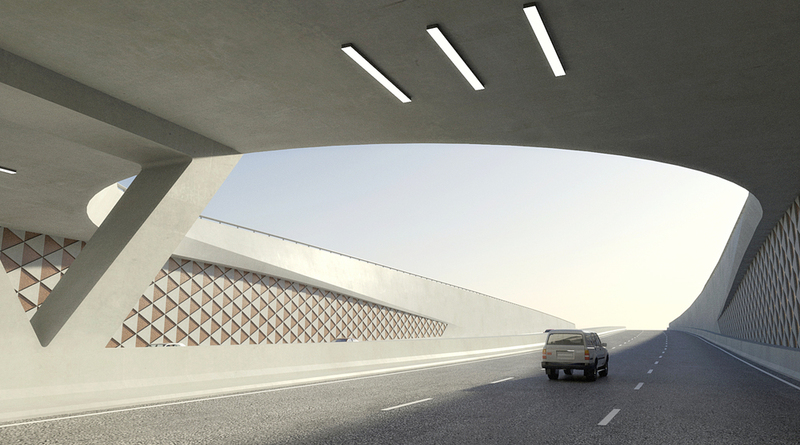 As a part of the E-Ring road the Mesaimeer Bridge will serve as an elevated high-way in order to relieve the existing road. 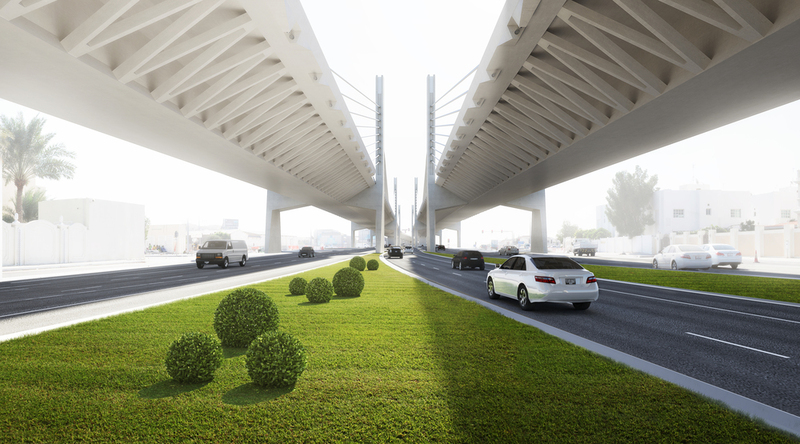 The bridge will lift the majority of cars away from ground level and create a less trafficked area below the bridge. 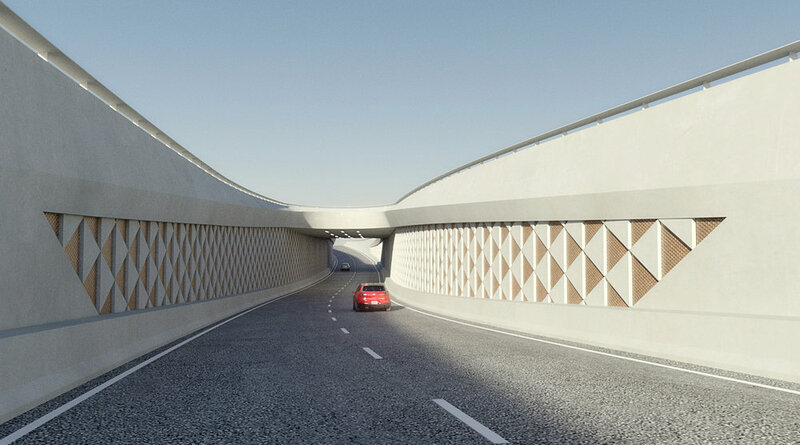 As well as the bridge, the project also concerned the design of six underpasses with a width varying from two to six lanes including portals and light concept. 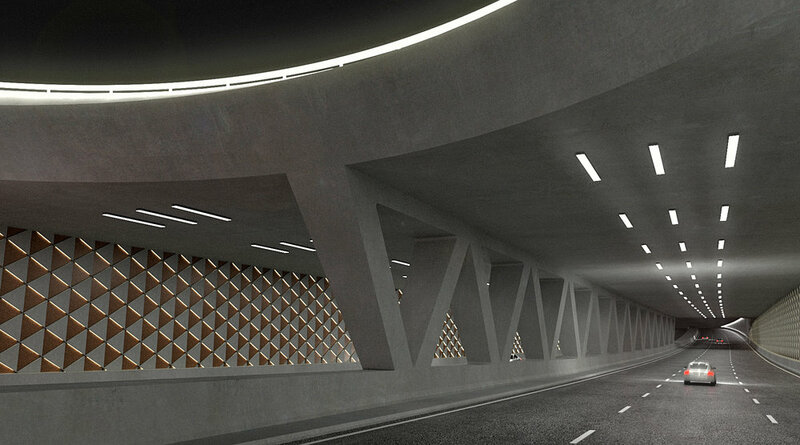 Our aim was to have a clean and simple shape that in a subtle, yet effective, way provides the users and the inhabitants with a unique and elegant underpass. 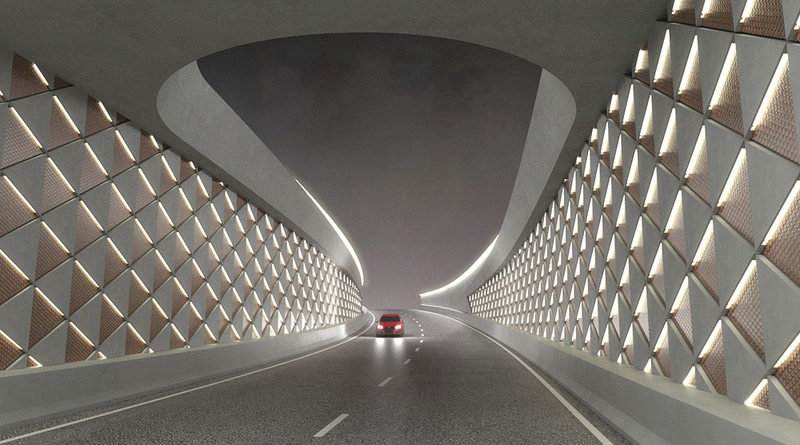 For road users travelling at the designated design speed the trip is very short and the amount of detail perceivable is limited. 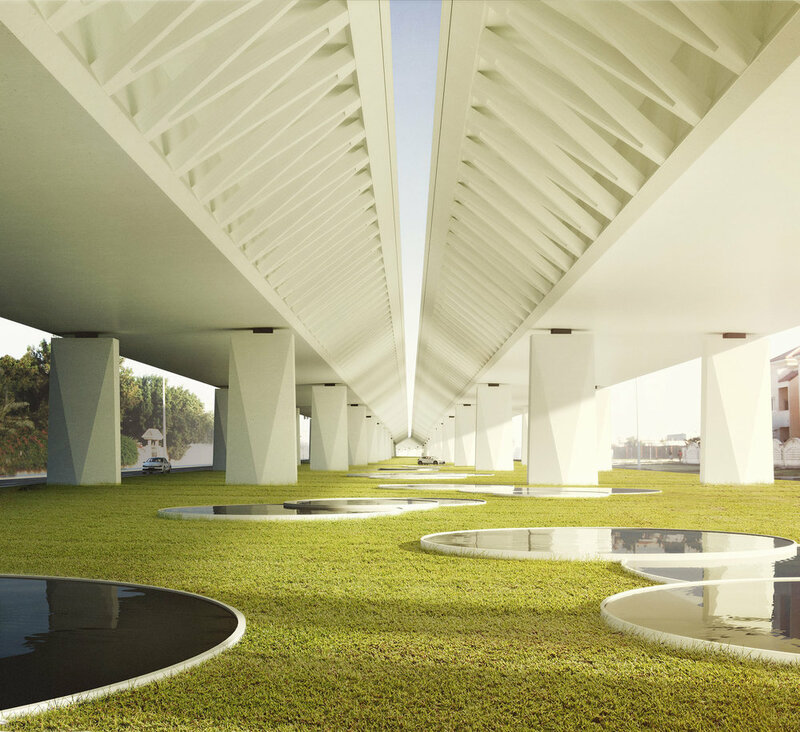 Therefore, the main concept was to unfold the underpasses in a big scale with an easily readable and visually expressive solution.